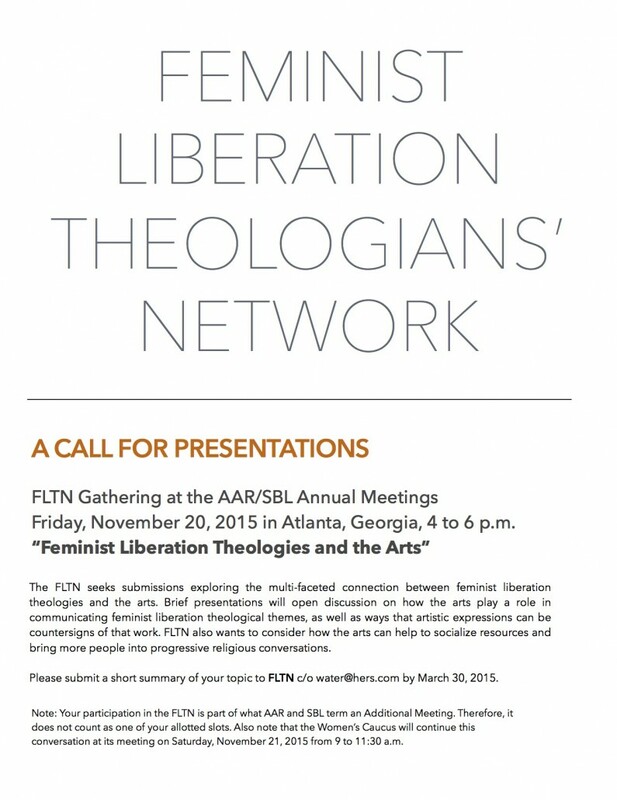 The Feminist Liberation Theologians’ Network held its annual meeting in conjunction with American Academy of Religion/Society of Biblical Literature gathering in San Diego, CA on November 21, 2014. The topic was teaching and activism that engage gender-based violence as part of feminist liberation theological praxis. More than sixty colleagues from ten countries joined in an intense but enjoyable session. A video of the session is also available. Marie M. Fortune founded the Center for the Prevention of Sexual and Domestic Violence, now known as FaithTrust Institute, in 1977 in Seattle, WA, USA where she served as Executive Director until 1999. Now she serves as Founder and Senior Analyst of the Center. She cited progress in the field insofar as sexual and domestic violence is now part of the conversation in many schools if not taught as a stand-alone course. She asked how religious leaders are dealing with campus sexual assault. And she underscored the complexity of faculty sexual misconduct. Her advice was to encourage young scholars to take on anti-violence issues as part of their academic research. Elizabeth J. A. Siwo-Okundi is Ph.D. candidate in Practical Theology and Homiletics at Boston University from Kenya. She stressed the importance of doing anti-violence work “boldly, truthfully, lovingly, and faithfully.” From her perspective as a preacher, she observed that many people–victim/survivors, bystanders, and perpetrators alike– are in congregations. How they hear the message variously makes preaching a daunting task. Note: Your participation in the FLTN is part of what is AAR and SBL term an Additional Meeting. Therefore, it does not count as one of your allotted slots. Also note that the Women’s Caucus will continue this conversation at its meeting on Saturday, November 21, 2015 from 9 to 11:30 a.m.
For more information, see the poster below. Vatican Council on Women Would Be Funny Were It Not So Insulting February 2015 Ritual: Let the Winter Go!